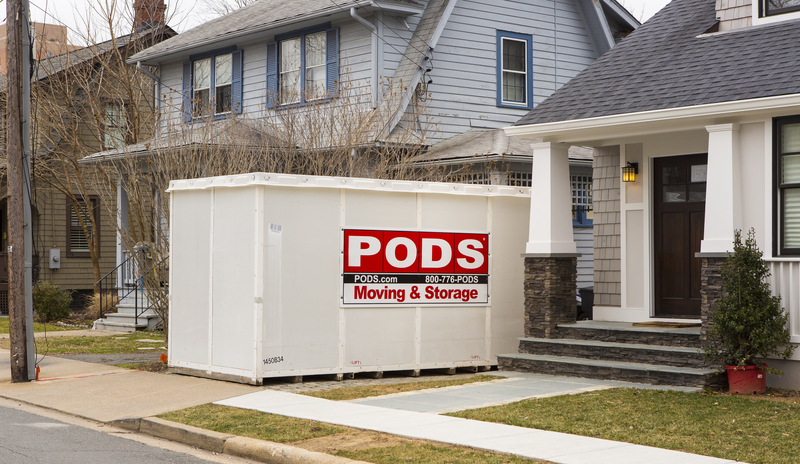 PODs are large, metal storage containers that can be dropped off at your home. You can choose between a 7, 12, or 16-foot container depending on your storage needs. After you are done filling up your POD, you can either keep it on your property, have it shipped to your new address, or have it sent to a warehouse for safe-keeping. PODs are designed to be weatherproof and durable, as you may choose to store them outside for a long period of time. One benefit of a POD is that you can load it on-site without having to transport any of your items. While you can hire a moving company to help with larger items, you’ll likely be able to pack most of the container yourself. Once it’s loaded up, you can have it picked up by the company and not think about it again until you need it. If you’ll be accessing the items often, it may be beneficial to store the POD on your property, as access to it may be difficult once it is stored in the warehouse. It may seem very convenient, but there are also many downsides associated with PODs. For one, they are often a much more expensive choice than self-storage. There is only a limited availability of sizes, so you may end up paying too much for a container you do not fully fill up. Conversely, if you are storing an entire household of items, you may end up having to rent two PODs. If you choose to store your POD in a warehouse, you may face high monthly costs, especially in high-demand months. If you want to access your items often, keep in mind that the warehouses have limited access hours and may not be close to where you live. Keeping the POD on your property may not be an option depending on where you live. Some local laws prevent you from keeping your container long-term at your home. If you live in a high-traffic area, the POD may not be allowed to take up any parking space. Other municipalities may have laws against them, as they can be eyesores. 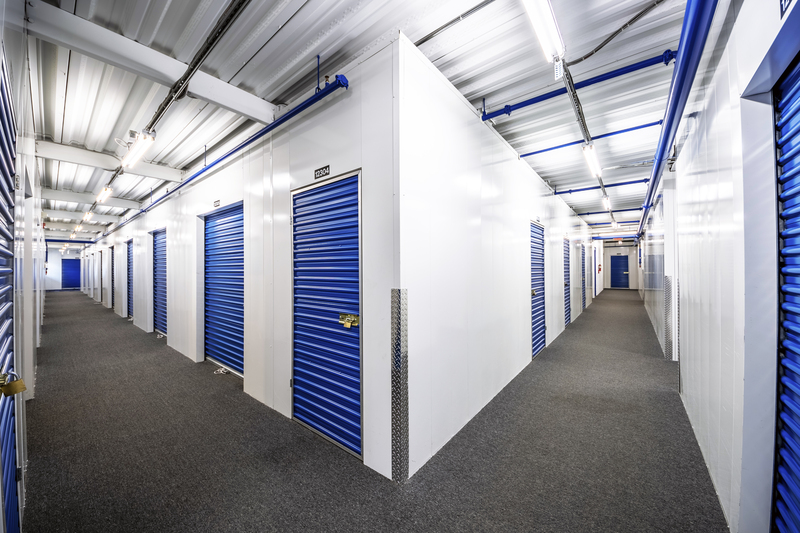 Self-storage is the more traditional approach to storage, and likely what you think of when you think “storage.” Most storage facilities offer two choices: indoor or drive-up units. If you choose to store indoors, you will likely have the option of climate-controlled storage. These climate-controlled storage units are kept at a consistent temperature and humidity and are ideal for furniture, clothing, and any other valuable items. You may also decide to go with a drive-up unit. These units are located outside and allow you to easily park your car or moving truck in front of the unit for easy loading and unloading. Unlike PODs, you will have to pack a car or moving truck, then unpack it and repack it into a unit. You may want to keep in mind the cost of a moving company if you are moving a whole household. While this is more of a hassle, once you pack everything into your unit, you will be able to easily access it whenever you please. Some facilities have limited access hours, while others allow 24/7 access. Another great asset of self-storage facilities is security. Most facilities contain security measures, such as security cameras, coded gates, individually alarmed units, and fire alarms. Storage units typically vary in size from a 5×5’ unit to a 10×30’ unit. By effectively packing your unit, you can save a lot of money and make sure there is no wasted space. 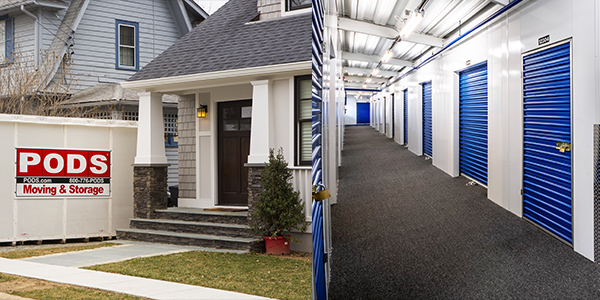 Self-storage will typically be a more cost-efficient option, especially if you are only planning to store short term. Depending on your specific situation, the pros and cons of one option will likely outweigh the other. PODs are great for people who would like to avoid the hassle of transporting their items, or who wish to take their time to pack everything and move it. If you are storing items long term, and they do not need climate control, this also may be a good option for you. Keep in mind that you will likely be unable to access your items if you have the container sent to storage. If you need a short-term storage option or wish to frequently access your belongings, self-storage is your way to go. You should also choose self-storage if you are storing any furniture, antiques, or other valued items. They will need to be stored in climate-control to prevent damage due to temperature and humidity. Once you make your decision, check out our tips on how to choose the perfect storage facility to make sure you have confidence that you are storing your belongings with a trusted company.